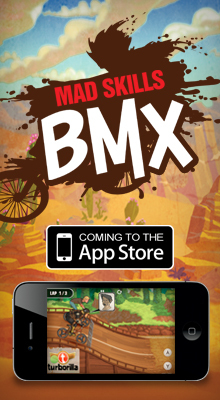 The official sponsor of the USABMX State Championship Series. "At FLY Racing, we LIVE what we make. Everyone here rides or races BMX or Motocross, so we are really involved in the developement and production of our products. Our goal is to make the best quality, best priced items that help make the sport as enjoyable as it can be. We are always looking for that new material, that new item and that new way of making a better and more enjoyable product for our sport. We also realize that we are really fortunate to have the great support from everyone in BMX for our products. We take this as a responsibility to do better and better and keep the FUN in what we do for everyone. 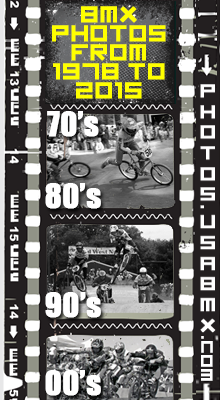 We THANK all the riders and the ABA for the great Sport of BMX...................we look forward to the future ...............and we want everyone to have FUN............this is how we wake up each morning" !!! The official number plates of USA BMX top riders. State Championship Series, District #1, Race of Champions, N.A.G., and National plate holders all run Tangent products. Quality number plates, pads, seats, grips, clothing and other BMX Accessories. Everyone knows Tangent Products are the industry standard for graphics and styles. Visit their website and check out the "Tangent Cartel". Box Components was created to design, develop and supply the finest bicycle components and race-driven products for world class athletes. Comprised of a diverse staff of dedicated riders and industry veterans, Box Components is now a global brand that supports racers and athletes worldwide. We seek to redefine the cycling experience through products and innovation inspired primarily from our racing heritage. This is our mission, and we invite you to join us. 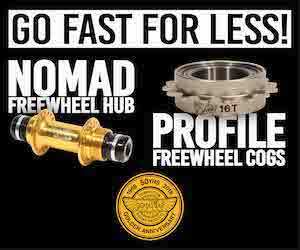 Promax is a parts and accessories supplier to the BMX racing markets with a focus on innovation and new technology. Led by racing legend and pioneering component and accessories designer Toby Henderson, Promax designs, manufactures and distributes the world’s most advanced bicycle componentry. FastSigns is so much more than just a sign company. Providing comprehensive solutions using custom signs, banners and marketing solutions that meet all of your needs. Nationwide is on your side. USA BMX members can get reliable protection for all the things that matter to them, including exclusive discounts for select Nationwide products and services. Avian Brand is a high-end line of BMX race specific components designed for riders, by riders. Our mission is to integrate speed with style and individuality. Each of our products designed with a look good, feel good vibe. Our roots are at the track, early mornings and late nights all in pursuit of the good times and big trophies. From the pocket rocket to top Elite, we have a full line of parts that will have you looking and feeling your best. The Bombshell credo has always been "Built to Last" and we mean it. It's not uncommon to see Bombshell forks and wheels being actively raced even after 5 plus seasons. In an industry where fashions change like the seasons, that's saying a lot. Our commitment to you the rider is stronger than ever. We will continue to build great products at affordable prices and always stay focused on quality and customer service.